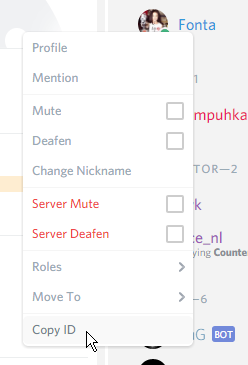 Since we're moving to Discord, we lost the possibility to automatically connect your forum account to your TeamSpeak account. This is because we can't see your IP address or email to try to match to. We can see your username though, but that's not really reliable. So we decided to let everyone fill in their Discord ID. This should only be needed once because we'll save it into the database en fill it in for you the next time you donate. So, how do you find that ID? It's easier than you think, unless you're bvk . Just copy and paste it into the Discord ID field. But wait, is that all? Yep, that's all. Unless you also want to know the other way how to get it. That's also not really very hard. Go to appearance and enable the developer mode. 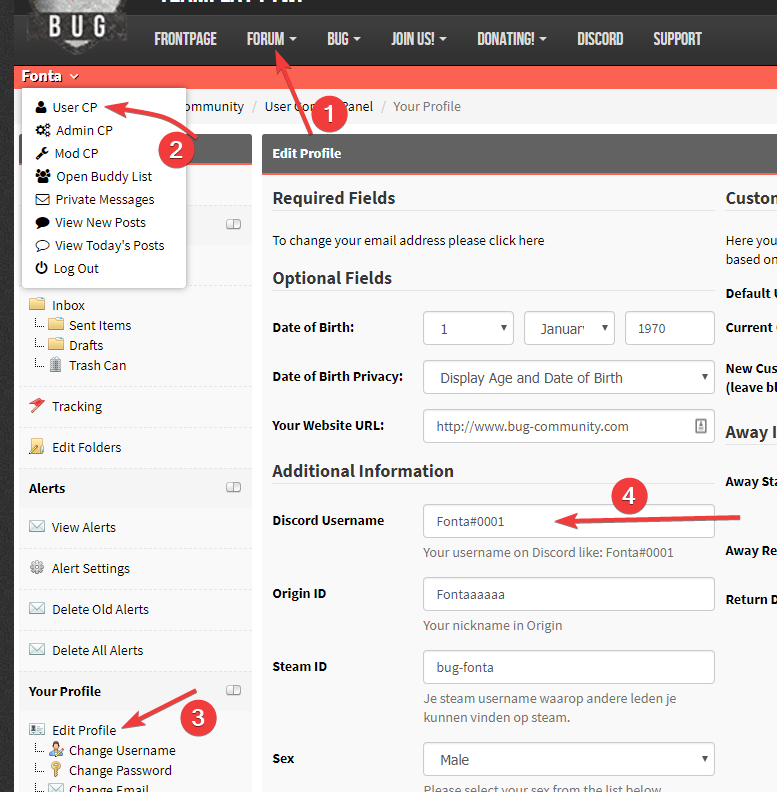 After that you'll have the possibility to copy it by right clicking your name and selecting "Copy ID". 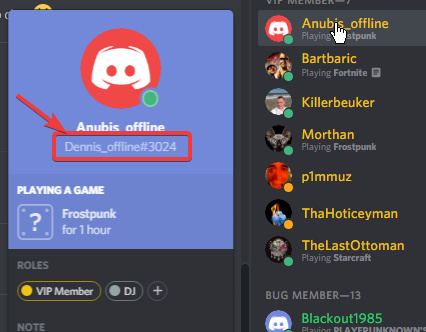 Where can we set our Discord ID's? Not everyone will donate through the site, as they've given a SEPA authorization, for example. Maybe an extra profile field on the forum perhaps? That way, users do not always have to give their Discord ID's. It'll be possible to set on the new BMP. ik kan alleen Teamspeak aanklikken in BMP, tevens mag ik nieteens mn eigen profile page zien "You are not authorized"
(18-07-2017, 23:02)JoSchaap Wrote: ik kan alleen Teamspeak aanklikken in BMP, tevens mag ik nieteens mn eigen profile page zien "You are not authorized"
Daarom zei ik ook "on the new BMP"
Er is tegenwoordig een plugin actief op het forum die automatisch de rollen synced naar Discord. Om dit goed te laten werken is het belangrijk dat in je profiel je Discord username ingesteld is. Copyright © 2015 Benelux United Gaming - Community.